For those who don’t know by now, Vikings follows the life and times of Ragnar Lothbrok, a Viking farmer turned Earl turned King, and his way more interesting family. 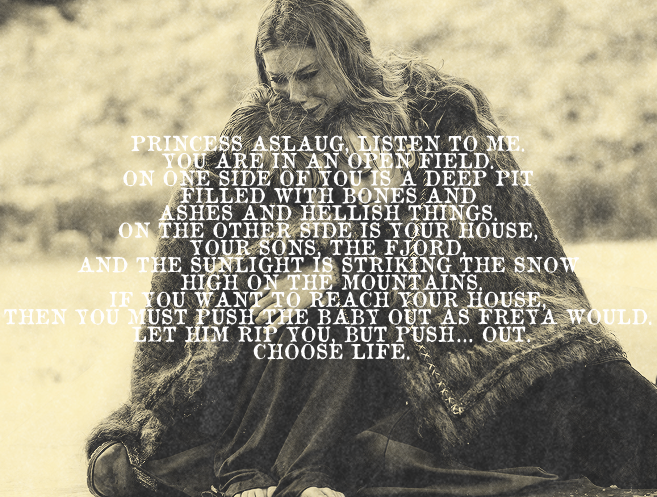 Of all the characters, Aslaug is one of the most hated. She is also the most misunderstood. Aslaug is the daughter of the Shield Maiden Brynhildr and the Dragonslayer Sigurd, so she practically viking royalty. This makes her, compared to the other viking women we’ve talked about, rather privileged. In Season two, She came to Kattegat in style, dress to the T in a boat filled with slaves and handmaidens. She nonchalantly decided to marry Ragnar with no actual consideration to Lagertha and during the time the Lothbrok family was exiled, she spent it mostly complaining about where they were staying. I understand where fans are coming from when they say she needs to die in a pit of fire, I really do. However, I also have to think about her situation. She has been brought up as a princess and acts as such, with diplomacy and regal elegance. She falls in love with a man who leaves her pregnant, so she goes to him seeking help and loving arms. She is a warrior in her own way. Where Lagertha and Siggy fight with weapons and cunning, Aslaug fights with her heart. She loves all of her children equally and fiercely. When she gives birth to a son born with deformed legs, she saves him from Ragnar, who leaves him to die in the forest. Everything she has done so far, she has done for her children. Ahem. Sorry, I have a cold. The point is, my dear show about vikings is starting to suffer from season three-itis, and a perfect example of this is Aslaug. Aslaug, a witty and clever diplomat who is now easily distracted from her queenly duties by a hobo with a six pack. Aslaug, a woman who would do ANYTHING for her children, just decides “nah, this hobo with a six pack is more important right now.” Aslaug, who was on her way to being a fully developed character, thrown in the sidelines until she is needed to fill the sexytime quota. 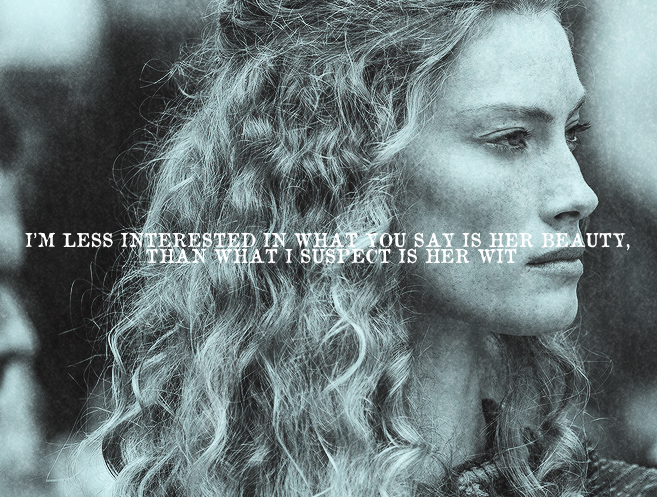 Almost all of the female characters this season seem to be out of character, but it is most present with Aslaug.